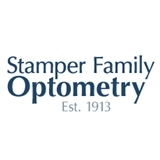 Stamper Optometry INC (San Francisco) - Book Appointment Online! If you are looking for an Optometrist (eye doctor) who offers experienced care, personalized service and a huge selection of frames, lenses and contacts in the San Francisco Bay Area, you’ve come to the right place. Our family has been serving all of San Francisco's eye needs for four generations, since 1913. At Stamper Family Optometry, you’ll get the most up-to-date testing and expert care you need, and the one-on-one attention you deserve. Whether you need to see an Optometrist for your eye exam, dry eyes, or contact lenses and/or eye-wear fitting, we can help. We have over 5,000 Frames in stock. though the appointment started a bit late, the service was great, the people were very nice, and i got everything i needed to out of the visit.